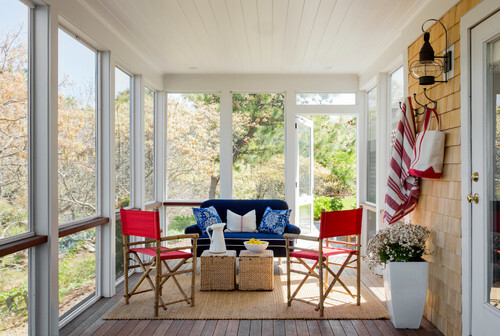 Whether you adore the classic maritime look of New England, the warm and spirited U.S. South, British seaside nostalgia or something else entirely, the coastal style in all its variations is easy, breezy, casual and fun. What's not to love? See if one of these six takes on beachy style resonates with you. Classic and understated, New England coastal style draws inspiration from the region's rich maritime history. 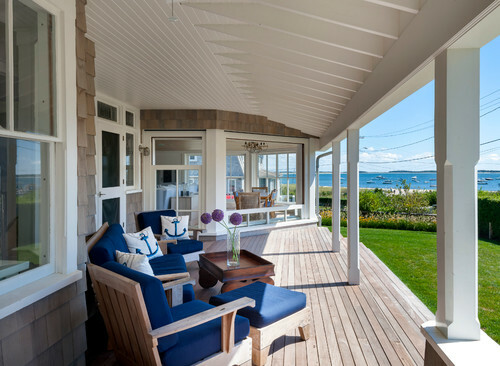 Crisp blue and white dominate the palette in beach destinations like the Hamptons, Martha's Vineyard, Newport and Nantucket, and materials like weathered teak and those made from water hyacinth stand up to the salt air. This look is all about simplicity, so keep things pared back with slipcovered furniture, bare floors or natural-fiber rugs, and woven accent pieces. 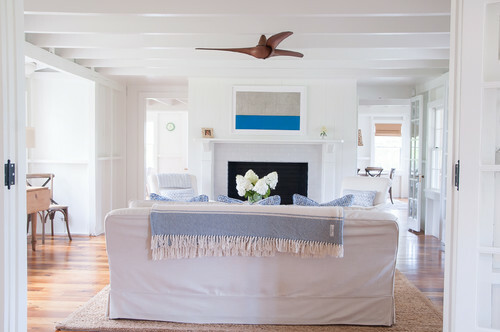 For decor, think authentic - a Nantucket basket, glass buoy or vintage seaside painting would work. Southern coastal style is equal parts relaxed and stately - think of enjoying a cocktail at a fabulous party in a grand home, where it's OK if someone ends up dipping their toes in the fountain at the end of the night. Grand porches, historic details, graceful entertaining and treasured heirlooms on display are all part of the set for a richly lived life. 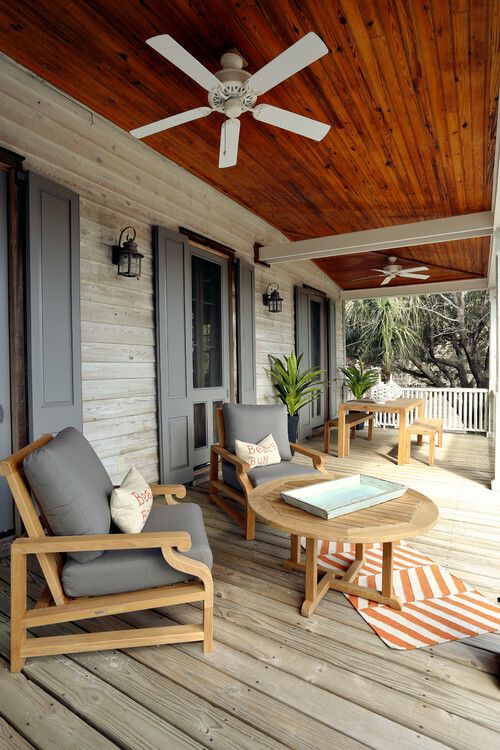 Far from an afterthought, a Southern-style porch is well furnished, preferably with a slowly turning fan, painted shutters and plenty of comfy seating. Of course, it's not just well furnished, it's well used - for catching up with friends and family, entertaining, reading and even napping or (with screening) as a summer spot for overnight guests. 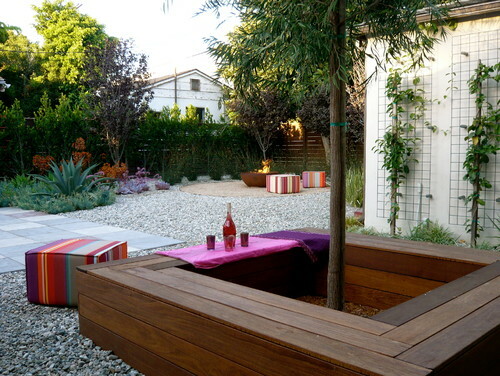 Warm, modern, organic and easygoing, California coastal style is all about indoor-outdoor living, all year long. 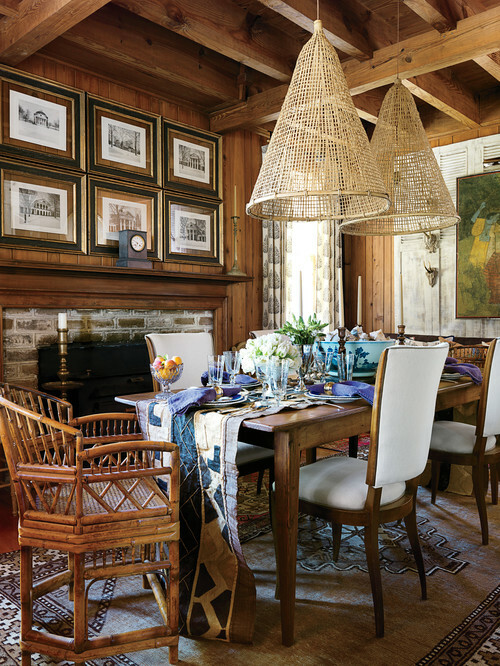 Midcentury pieces mix with colorful, eclectic textiles and natural elements. 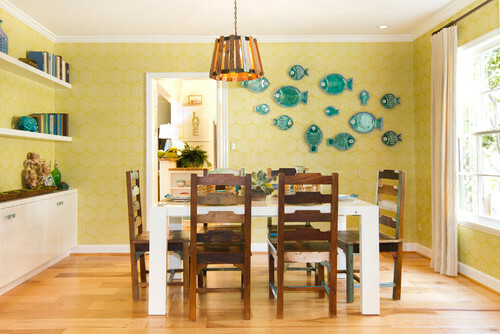 Beach Style Dining Room by San Marino Interior Designers & DecoratorsCharmean Neithart Interiors, LLC. Coastal California cottages tend to feature sunny, cheerful hues, like lemon yellow, chartreuse and aqua, alongside plenty of white and natural wood. The decor focuses on unique handmade and vintage finds. When it comes to furniture, think easy and casual - canvas, cotton or linen upholstery, reclaimed wood and tough indoor-outdoor materials take center stage. Maximizing light is a priority as well, with large windows left bare or simply covered, not swamped in heavy drapes. Popular in both Southern California and the coastal South, this version of beach style is colorful and playful. 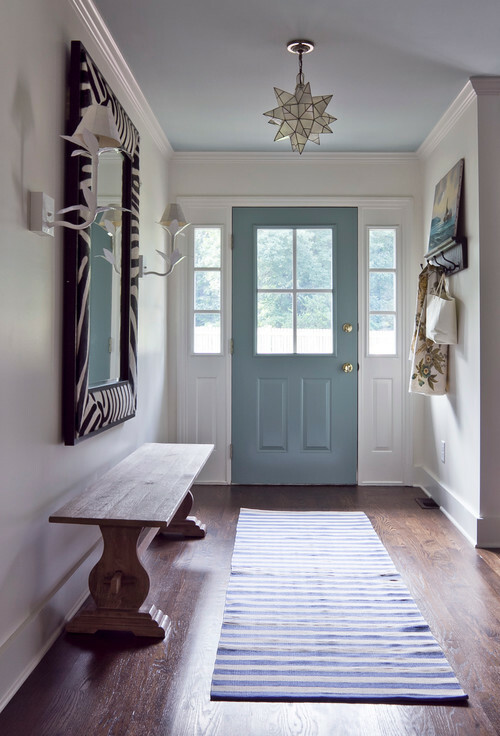 Think of a soothing aqua and white palette, jazzed up with a zebra print and a blingy chandelier. Or a beautiful lamp with an organic shape but done in slick white porcelain. Color is used confidently but not overdone - focus on one main hue (try sunshine yellow, kelly green or aqua) and surround it with plenty of classic neutrals. 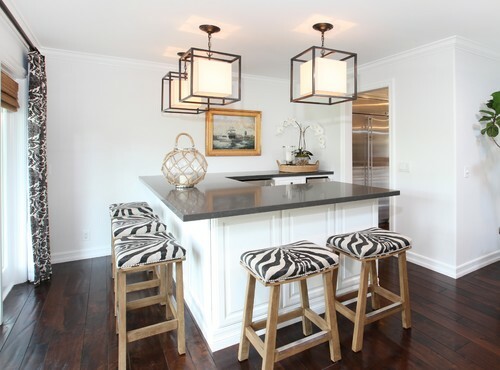 A good balance includes around 80 to 90 percent classic beach-style elements (like weathered wood, seaside paintings or rope accents) and 10 to 20 percent glam. 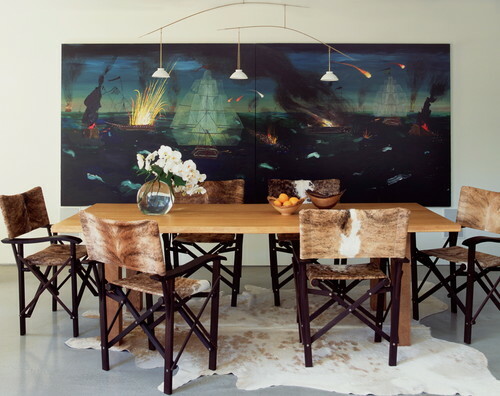 Other less expected elements to glam up your beach abode include leather (or hide) director chairs, sleek modern light fixtures and statement-making oversize artwork. 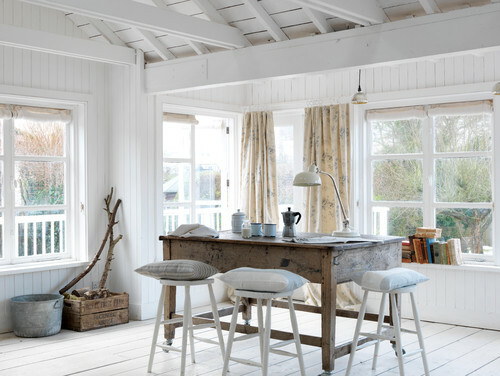 With all of its whitewashed surfaces and faded fabrics, the British seaside look is like a postcard from a very charming other time. Gallons of white paint are the main ingredient - you'll need to cover walls, ceilings, floors and furniture with a fresh, milky white coat. Weathered vintage wood and tin, beachcombing finds and faded pastel fabrics stand in relief against the crisp, clean background. 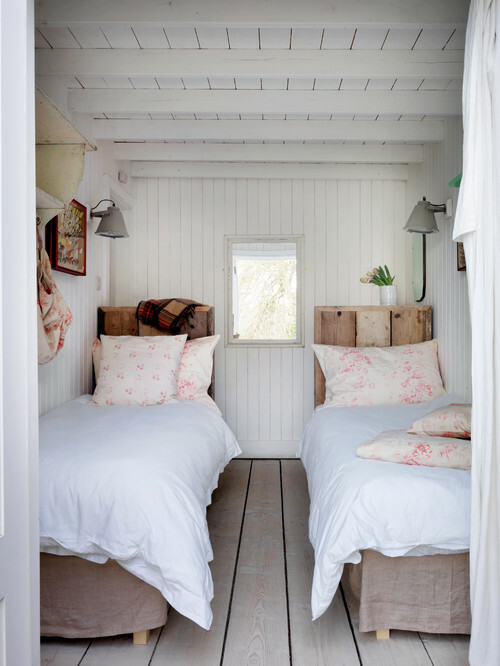 The charm comes partly from the simplicity, so the trick is to keep things spare, not overstuffed - think seaside hut with just the essentials, not prissy tea shop. Like the American sister of British seaside style, country coastal relies heartily on antiques and thrifted finds but in classic red, white and blue. Think of enamel pitchers filled with flowers, ticking stripe mattresses and American flags. Try repurposing common items to make your own decor. For instance, spare plates can become a wall display, a big wicker basket can be put to work as a table, and vintage feed sacks can be turned into pillows. 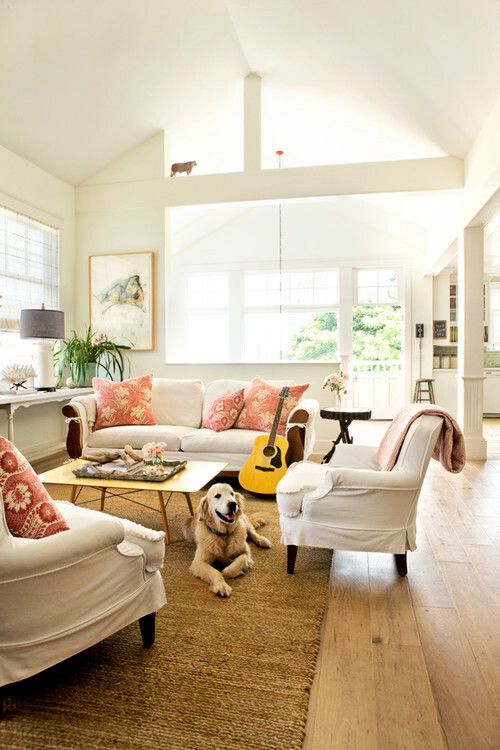 Tell us: Do you love coastal style? Which variation is your favorite?